FlatPak is a highly configurable, modern prefab home; imagine a menu of components where you can simply pick something out, like a wall or a bathroom, to fit your needs and site. Delivered completed, ready to live in, to your site right on the back of a flat bed truck, this small prefab house is a fusion of modern technology and practicality which will give you peace of mind. Miami-based company Cabin Fever creates well-designed, affordable, prefabricated cabins of natural beauty, quality, and style. 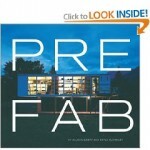 When asked about what advice would he give to a potential homeowner interested in a prefab home, Andrew Kelly, Founder and CEO of Cabin Fever, suggests to remember that beauty is only skin deep…we all provide pretty pictures, find out about the nuts and bolts – what’s behind the walls? 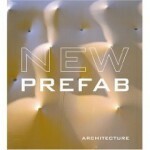 Check out his interview at busyboo.com on prefab design and construction. Apart from its stunning location on a remote island in Canada’s Lake Huron, this home features unique prefab design and construction challenges – It’s a two-story summer house that floats atop a structure of steel pontoons, gently swaying along with the lake. …See what I mean? 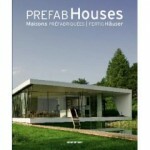 If you are interested in prefabs, you can never get enough of ideas and inspiration. Whether you’re looking to build a prefabricated home or a house made from recycled shipping containers, today’s market is buzzing with new projects. Inspired by a semi-circular bicycle shelter and bike rack, House Arc is an affordable housing solution by Bellomo Architects. Its most prominent feature is a tubular steel armature, sheathed in translucent polycarbonate plastic coated with a solar film. 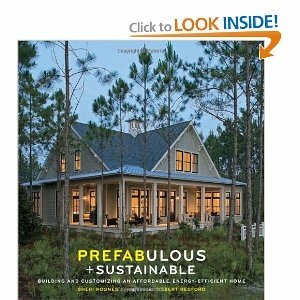 With an impressive portfolio of green prefab homes, Seattle-based company Method Homes focuses on sustainability, energy efficiency and thoughtful design – all wrapped up in their unique approach of “Down to earth prefab.™”. When asked about the future of prefab, Brian Abramson, Director of Business Operations and Co-founder of Method Homes, said it’s here to stay! 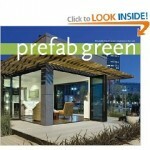 Go behind the scenes and check out his interview at busyboo.com on prefab design and construction. Here is an interesting proposal for a prefab modular home by Brazilian designer Felipe Campolina – Combine a few units together and you can scale it in size from a small unit to a large prefabricated house. Situated in a residential neighborhood built on artificial islands in the east of Amsterdam, two row houses have been constructed from solid timber. Both prefab homes feature a three-story layout facing the back garden and a four-story layout facing the street. 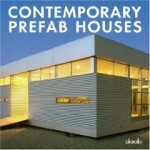 This modern prefab is part of the catalog-order prefabricated homes from the Thea Collection of Swedish company ‘Next House’. 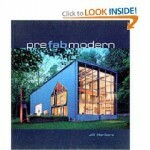 The collection includes various models, from a small cabin guest-house to a two-story family home of almost 400 sq. meters. 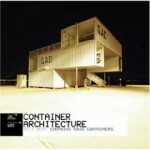 This prefabricated cabin is a cube-shaped structure constructed from bales of straw. It includes a small interior space with two floors and an attic, and a hovering terrace with a “lookout” overlooking the Swiss Alps. Featuring a bioclimatic design, ecological materials and enhanced natural lighting, this residential is a modern prefabricated home, that is designed for clean, green and healthy living.